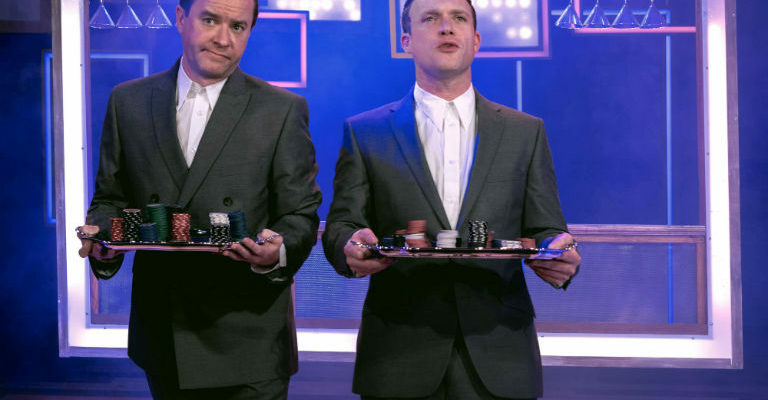 Starting at sunset and ending in starlight, the 90-minute show is set against the magnificent backdrop of Auckland Castle in Bishop Auckland, County Durham. As dusk turns to darkness, you are sitting in an 8,000-seat open-air theatre in front of a vast stage. The lake at its centre is still. You are enveloped by music that makes the hairs on the back of your neck stand on end. You are watching King Harold rejoicing, having conquered the Vikings. But his celebrations are short-lived. The tranquil waters of the lake begin to ripple, its surface begins to swirl and seethe. A Norman longship erupts from its depths, bearing a fierce William of Normandy and his cohort of men who leap ashore, swords held aloft. This is just one of Kynren’s 29 scenes which takes you on an action-packed and emotional journey through time. Encompassing the Roman occupation, the Viking and Norman invasions, medieval feasts and jousting, the splendour of the Tudors, the English Civil War, the Georgian Renaissance, Industrial Revolution and two world wars – and many other scenes in between – Kynren takes you on a spellbinding voyage through history, myth and legend, as seen through the eyes of Arthur, the son of mining family from the north east. 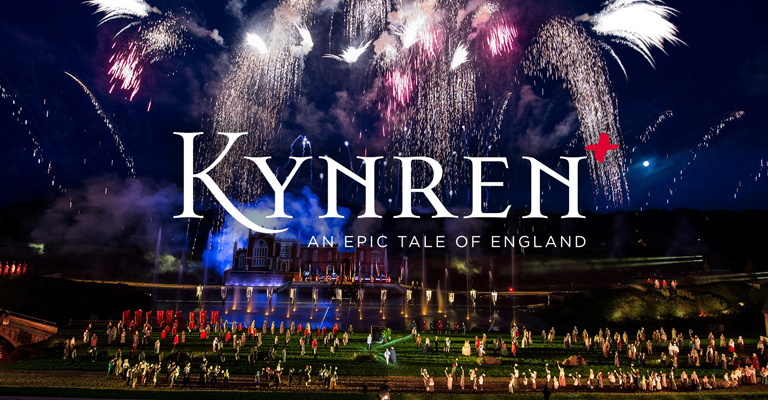 Kynren is directed by Olympic ceremonies veteran, Steve Boyd and brought to you by a 1,500-strong cast and crew of volunteers who have been professionally trained by top performance experts in dance, theatrical combat, pyrotechnics, equestrianism and guest management. The huge cast is joined on stage by a ménagerie of horses, sheep, goats, oxen, geese and donkeys, collectively bringing each scene to life amidst jaw-dropping special effects and an original sound track by the award-winning composer Nathan Stornetta.